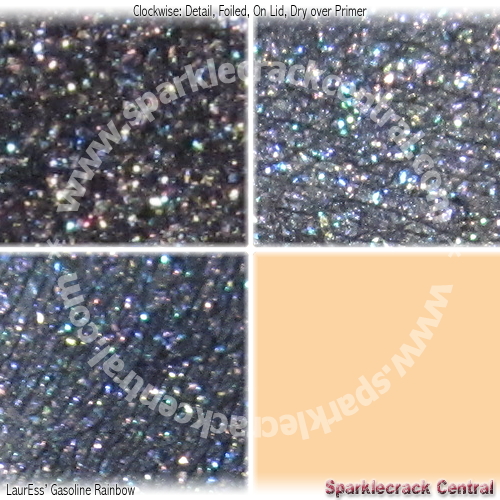 One of the more popular colors incorporated from the Sassy Minerals merger. Long before I started buying from Sassy Minerals, I saw mention of this color on site after site. 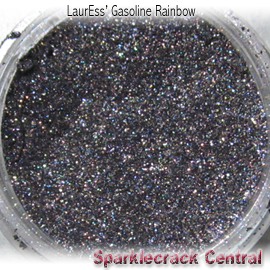 Gasoline Rainbow was a big draw for quite a lot of beauty bloggers. 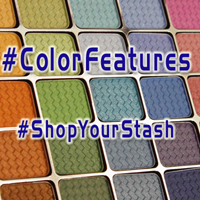 Other companies have done a black eyeshadow with multicolored sparkles: Fyrinnae, Sugarpill, The SheSpace, Aromaleigh (both version 1 and 2), Silk Naturals, Bare Escentuals, and I'm sure just about every other company out there. I own several variants, and while Fyrinnae's Immortality has better black coverage, Gasoline Rainbow either has close or better multicolored sparkle.